A Word A Day, has just put up the word fluke. Fluke has several meanings: it can be a funny little fish, the point of an anchor, or a stroke of luck. This latter is put down by AWAD as "of uncertain etymology" (1857). The OED is a little more helpful. It says that fluke was originally a lucky shot in billiards, and suggests that it might have something to do with the Whitby dialect word fluke, meaning guess, although that wasn't recorded until 1876, so it's probably the other way round. This all made me curious. Billiards. — In playing at billiards, if a player makes a hazard, & c. which he did not play for, it is often said that he made a crow. It may be derived from the expression of " Shot at a pigeon and killed a crow". Another term is, " He made a flook (or fluke)." It seems to me that, as there are two flooks to the anchor of a ship, and as when the anchor shall be dropped either flook may take hold of the ground (as both do not, so that it is accidental which takes hold), the flook, at playing at billiards, may have reference to the same cause (accident). The favour of an answer will oblige. Good, but not good enough for the OED. Besides these out-of-door sports, our hero also devoted a good deal of his time to acquiring in-door games, being quickly initiated into the mysteries of billiards, and plunging headlong into pool. It was in the billiard-room that Verdant first formed his acquaintance with Mr. Fluke of Christ Church, well known to be the best player in the University, and who, if report spoke truly, always made his five hundred a year by his skill in the game. Mr. Fluke kindly put our hero "into the way to become a player;" and Verdant soon found the apprenticeship was attended with rather heavy fees. Now, there are two possibilities here: the first is that the slang word fluke was already around in 1853 and the author wanted to give his character a funny name. This seems unlikely. It's hardly a good joke to use a word so obscure that it had never appeared in print before. The other possibility is that the word came from the novel. But is this possible? Was it an influential tome? You need to sell a lot of copies to get a word into the language. 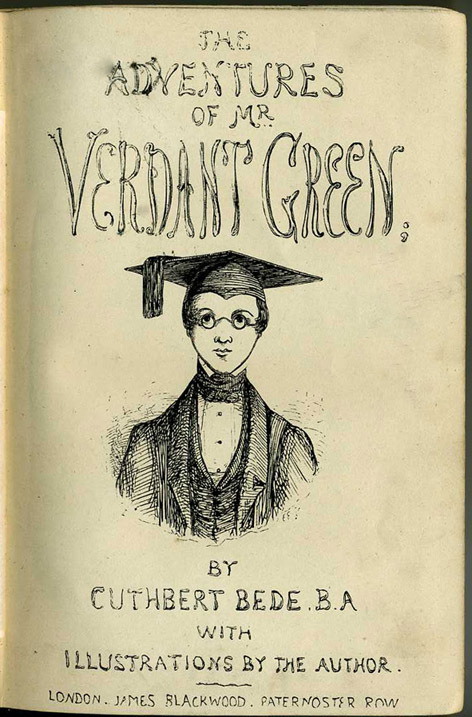 Did anyone read Verdant Green? 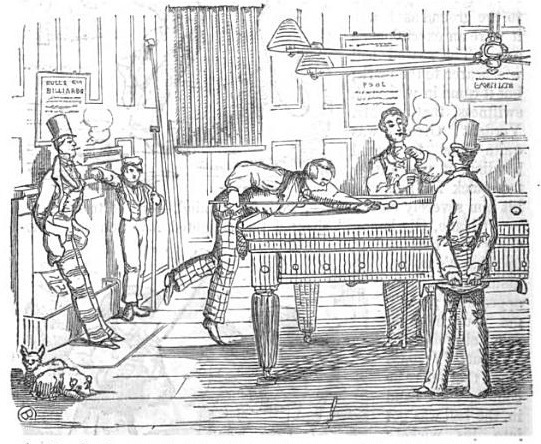 So fluke, meaning a lucky shot at billiards, could have come from the once-famous, now-forgotten novel. Or was it just a coincidence? Then I thought of a simple test. If it was a comedy name derived from billiards slang, there wouldn't be any real Mr Flukes (reality tends to elude me rather a lot, like a bitter ex-girlfriend). The name would be like Gradgrind or Micawber or Doasyouwouldbedoneby. But if it was a real surname then it would be probable to the point of persuasion that the flukey chance derives from a pre-existent surname. With quivering fingers I Googled the words Fluke surname. Millions of the damn fellows. So far as I can tell from the Internet you can't move for real people called Fluke. My absolute favourite Fluke is John M. Fluke Jr. who runs the family financial business. Now, I'm sure that John Fluke is a good and competent man, in fact he must be super-competent to get anybody on earth to invest in a company called Fluke Capital Management. All of which convinces me that fluke, the chance, comes from Mr Fluke of Christ Church. Mr Fluke is back right, smoking and chalking. Of course, those folk with the surname could have adopted it after the book. So I looked a little further back for you. The 1841 census lists 53 households in the UK in which someone with that surname resided.